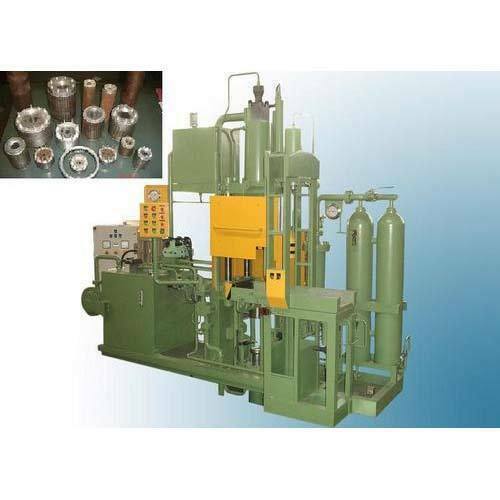 We are a well-known name, involved in providing an extensive series of Rotor Die Casting Machine. Our product is extremely employed by customers owing to their sturdy nature. Mahadev Engineering is the foremost manufacturer of Horizontal Cold Chamber Pressure Die Casting Machine, Hot Chamber Die Casting Machine, Vertical Cold Chamber Die Casting Machine and Fan Rotor Casting Machine. Experts develop these products as per worldwide industry norms. Being a customer’s centric entity, we also provide these products according our customer’s necessities and requirements. Our presented products are extremely admired for their longer life, sturdiness and longer service life.